At The Elizabeth Ann Clune Montessori School of Ithaca, we educate children to create the future we envision- an engaged, interconnected and peaceful world. As we educate in this space between vision and reality, Montessori schools are part of a movement for social reform. We teach according to certain values and seek to imbue our students with those values. Thus a Montessori school is, by its very nature, political. We teach children that there are 3 rules that define our relationships: respect for self, respect for others and respect for the environment. We teach children that impact matters as much as intent and that they are responsible for what they do, what they say and how they say it. The first 6 years of EAC curriculum immerses the child in the hard science of being a human being connected to and within the universe. They learn the origins of species and the commonalities inherent in all life forms. Students recognize that all human beings have the same fundamental needs and that it is only a function of individual cultures that makes different populations express those needs differently. 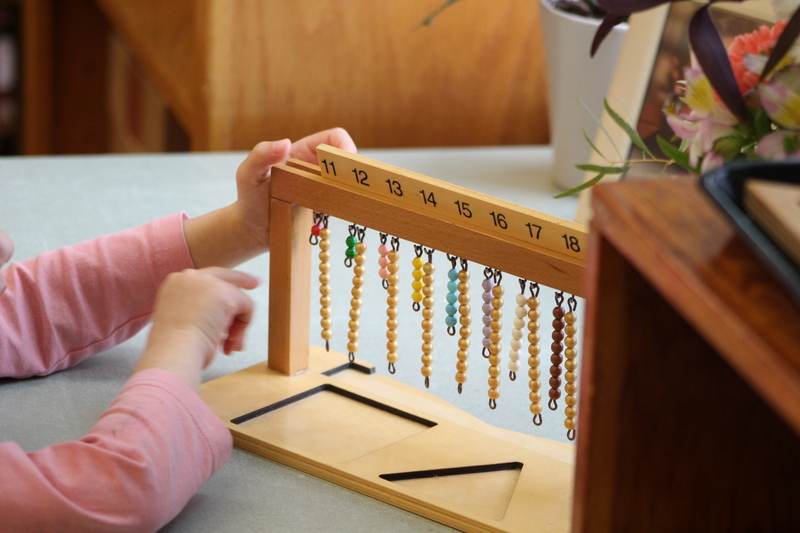 Montessori students learn that conflict is a natural byproduct in relationships and that it is their responsibility to address conflict with others. We expect them to address conflict respectfully, and opting out is not a choice. Taunting, teasing and ridiculing others are against the rules; same for name-calling, baiting and purposefully manipulating. We ask students to speak the truth from their hearts using clear and precise language. Then, we ask them to listen to other’s points of view with an equally open heart. We teach them that there will be tension between their actions and the needs of others and that honoring their responsibilities as citizens will surely require sacrifices. These core tenets define the work we do with children each day. They also guide our interactions with each other and with the families of our students. EAC stands proudly as an agent of the Montessori movement and the codes of conduct inherent therein. thoughts to any of our families who might be in distress at this juncture. If there is anything EAC can do, please let me know. Children are very sensitive, notice everything, and have really big ears! They are especially attuned to pick up on things adults don’t want them to hear. Children need to know their adults will do everything to keep them safe. Children also need to know that when people in power behave in ways that are against the rules, others will stand up for what is right. For younger children, the former is most important. For older children, both are relevant: we want our children to feel confident that their adults are looking out for them. In these tumultuous times a strongly developed moral code is helpful to negotiate the way. This is an opportunity to share, as feels appropriate, one’s own moral code and to support children as they grapple with the experience of moving between reality and our vision for their future.